The St Magnus Cathedral clock has been hand wound for the last 100 years, following the installation of the clock in 1919. 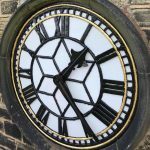 Smith of Derby were asked to add automatic clock-winding technology, meaning custodians and stonemasons will no longer have to wind this by hand. One of the final times the Cathedral clock was wound. Originally a James Ritchie timepiece, we were delighted to be asked to carry out the adaptations to the clock at this famous Scottish Cathedral. Along with the automatic winding technology we installed, a pendulum regulator was also added. 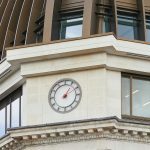 This ensures the clock will keep the perfect time as the regulator monitors the clock through a built in optical sensor and adjusts the clock, should the time be incorrect. As well as continuous time monitoring, the ‘Par-100’ system also changes the time accordingly when the clocks change in both the spring and autumn. Smith of Derby would like to thank The Orcadian who kindly gave us permission to use their content in our news story. 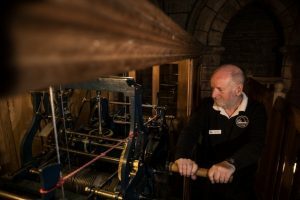 To read more about our work and the Cathedral please visit: https://www.orcadian.co.uk/times-up-for-hand-winding-st-magnus-cathedral-clock/.